MICHAEL McDERMOTT: There was a time when you could wait several years for a new McDermott album to come along. Now in the space of just over 3 years he has released 3 new albums. Willow Springs was rightly recognised by the critics as one of the best americana/folk albums of 2016. 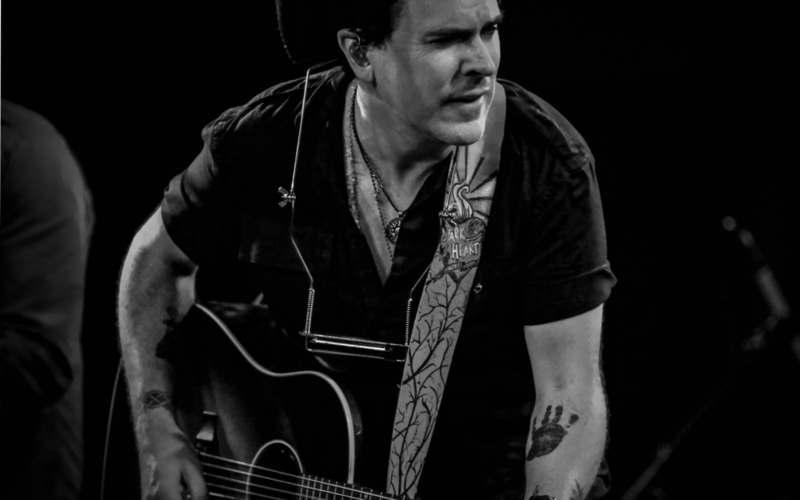 Readers of Americana UK voted McDermott best male artist of 2016. This was then followed in 2018 by Out From Under, which several reviewers described as surpassing even Willow Springs. 2019 sees the release of Orphans. The album explores similar terrain as its critically acclaimed predecessors Willow Springs and Out from Under, but its 12 songs have an extra power that drives the set forward. As the title suggests, this is a collection of compositions that were initially abandoned, but refused to leave McDermott’s mind. The musician prides himself on “doing work,” having honed that ethic growing up on the Irish Southside of Chicago. It’s a quality he’s clung to, even throughout a tumultuous career that’s taken some twists and turns. His early success in 1991 with 620 West Surf on Warner Brothers Records catapulted him into the limelight in his early 20s–a rollercoaster ride he wasn’t quite prepared for, and that sent him on a road of self-destruction. Narrowly avoiding a prison sentence, McDermott battled addiction for the next 10 years. However, with the help of his singer-songwriter sideman Heather Lynne Horton and their child, McDermott pulled himself out of the addictive cycle now been clean and sober for four years. Orphans is set for release in the UK in April 2019 and will co-incide with a 2 night residency on 6th and 7th May at Green Note. The first night will be a CD release party featuring songs from Orphans as well many other McDermott classics. Night two will include the opportunity for fans to request their favourite songs from the huge McDermott back catalogue.